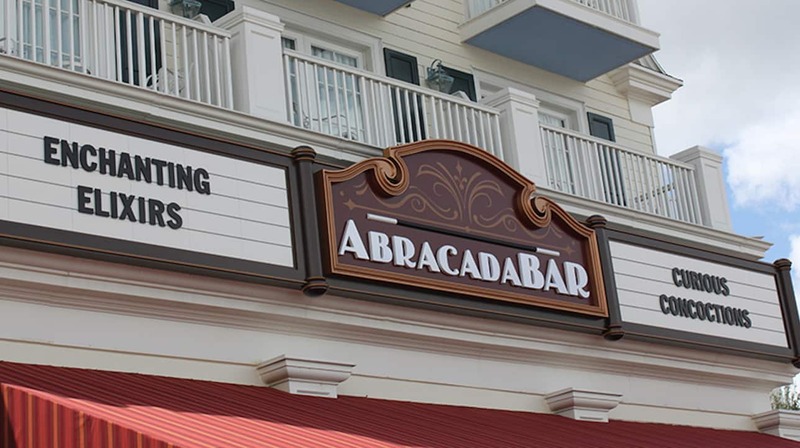 Today we’re happy to share with you the first look inside AbracadaBar, a new cocktail lounge that will soon open for business at Disney’s BoardWalk Resort. Once inside, guests will get a special peek at the sophisticated social club of some of the most famous illusionists of the 20th century. 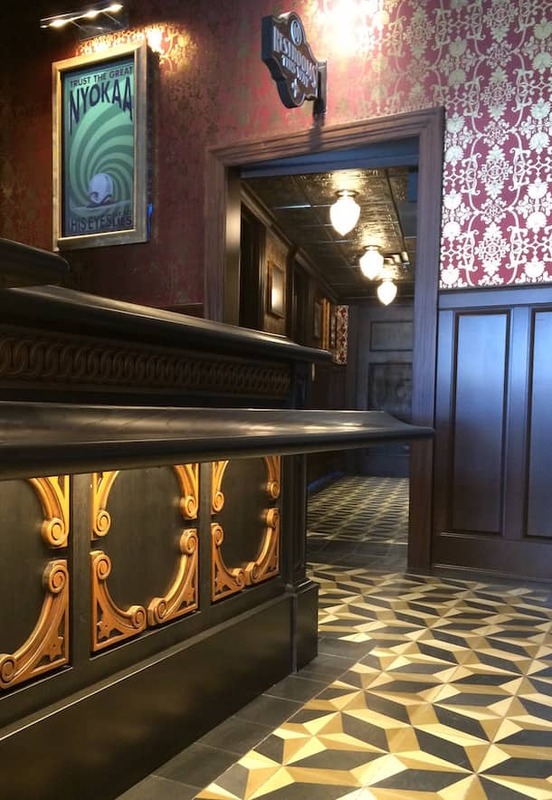 While it’s rumored that the magicians who frequented the lounge vanished without a trace decades ago, their magic still remains strongly intact, and can be seen, heard, and savored in the bar’s signature cocktails. 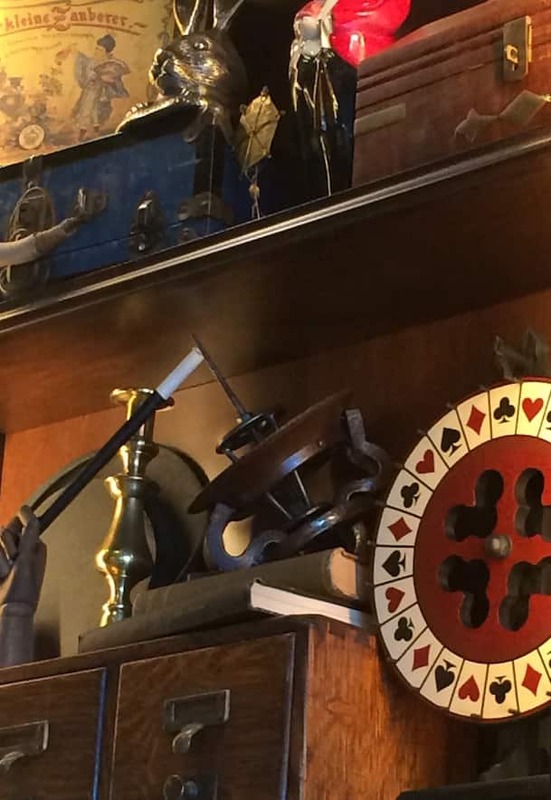 From its enchanted magic show posters and mystifying mirrors, to vintage props and tricks left behind years ago, AbracadaBar promises to be just as surprising and magical as its name suggests. 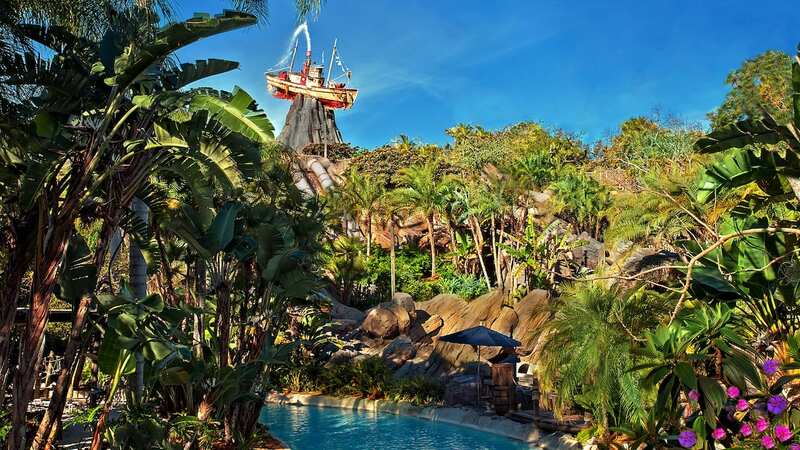 Keep your eye on the Disney Parks Blog for more details on this curious new location. Now that it has opened when will Flying Fish open? It’s open! We are currently staying at the Boardwalk. Walked through two nights ago. It looks very well done. The bar is located where the old counter was where you ordered your ice cream. Any hints on opening day? Or potential soft opening? This looks just amazing!!!! I hope that magicians will be on hand to do the entertainment part of the “show” Maybe not a full out show but slight of hand and smaller illusions. This could be truly great! This isn’t going to be a closeup-magic lounge, where small-scale tricks are done at the tables and bar? Those have been trendy in the last few years. So, where does one park when one wishes to visit the Boardwalk? This is going to be Awesome!! Can’t wait to see it in January!! WOW, sounds fantastic! A lot like the Adventurer’s Club! Cant wait to see and hear more about this one! Please, please, please be open in 44 days when we check in at the Boardwalk! This is going to be awesome! Will there be magicians walking around performing slight of hand illusions? Something like Adventurers Club?